The epic finale of the Celebration Series is finally here. Celebrate Christmas once again with the couple that started it all: Casey Lowe and Thad Wagner. 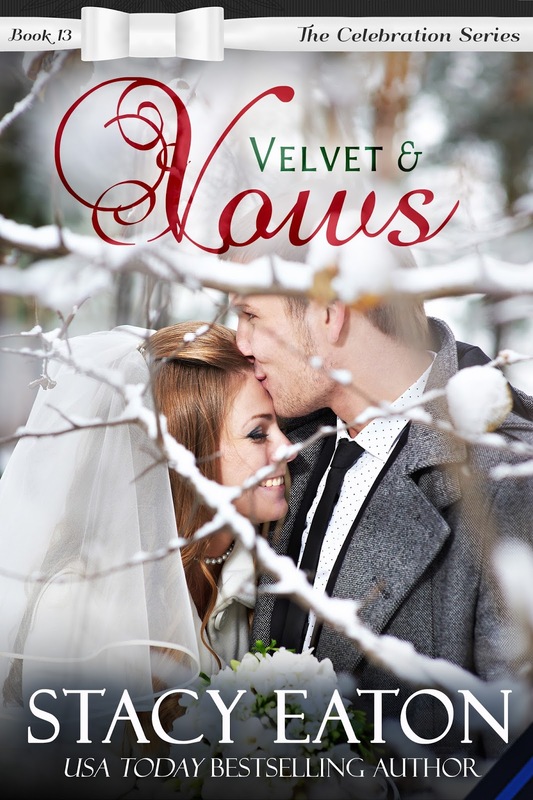 Velvet & Vows starts out twenty days before the wedding and there is a lot to be done. With wedding showers, bachelor and bachelorette parties, the final dress fittings, holiday preparations and the last of the details for the ceremony and reception, Celebration is crackling with energy—but it’s not all good. 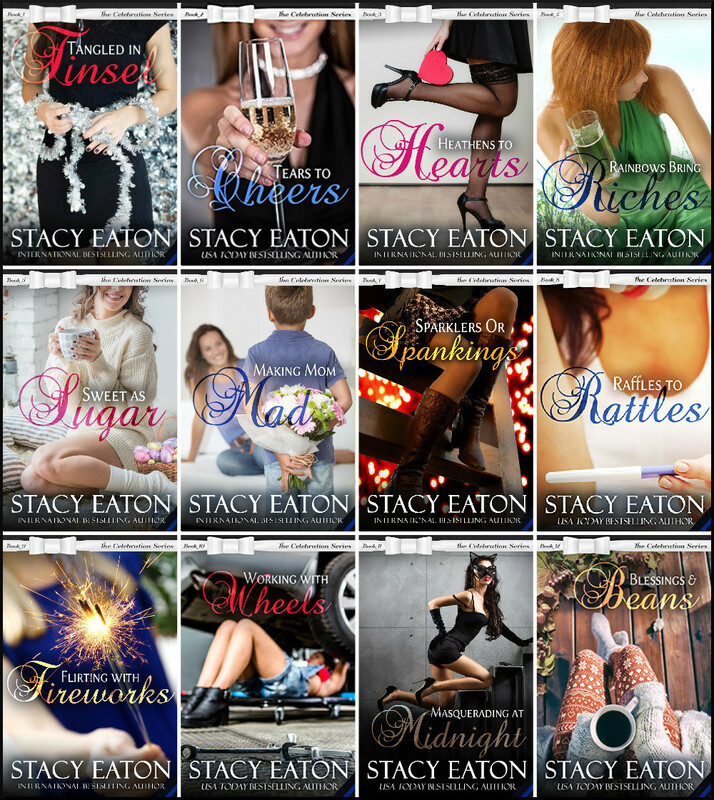 With a few misunderstandings, many secrets and a serial arsonist running rampant in the town, the days leading up to the wedding are far more stressful than Casey and Thad ever planned for it to be. It will take the entire town to tell this story as we pass from one leading character to another. Prepare yourself for this one-of-a-kind novel that will bring insight into every character you’ve fallen in love with during the series, and even a few characters you’ve never heard from first hand. The sound of Thad’s heartbeat thrummed steadily under my ear and begged me to stay in bed forever—or at least a few more hours—but we both had to get ready for work. I tilted my head back and gazed into his handsome face. I couldn’t believe that Thad and I were getting married in three weeks. It had been basically a year since we’d met and he’d saved me from my psychotic ex. I had reflected back on that night many times over the last eleven months and was thankful that Thad was so perceptive and followed his gut on so many things. “You’re not taking my name,” I teased. “No.” I shook my head and pushed off his chest to sit up. He grabbed my arm and pulled me back down. “No.” I grinned and then pushed my leg to the side so it slipped up the inside of his, my thigh coming in contact with his groin. He moaned as he clamped his eyes shut. “It wasn’t Missy,” I whispered seductively. I laughed. “I have to get to work, and so do you,” I told him when he managed to pull me back to the bed with his arms around my waist.